On December 16, 1773, more than 5,000 American colonists met at Old South Meeting House to decide the fate of three shiploads of tea docked in Boston Harbor. 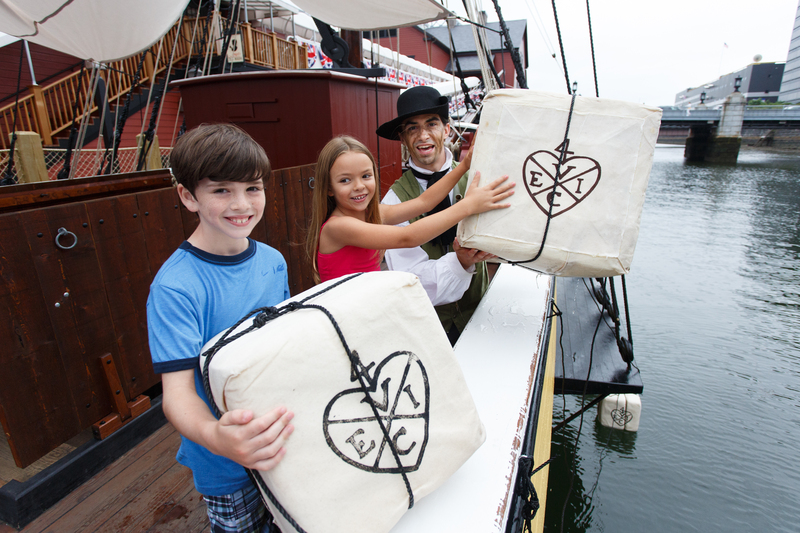 This December 16th marks the 242nd anniversary of the event, and it is the first time in 240 years that the East India Company returns to Boston, with 100+ donated ounces of their iconic tea, to be thrown into the water during the historic re-enactment. Anyone who buys a ticket can join other “rebels” (like Samuel Adams and Paul Revere) at Old South Meeting house to debate the tea tax and demand liberty from the British Crown. Then they can march to Griffin’s Wharf, shouting “Huzzah,” accompanied by fife and drum and scores of colonists, line the shores of Boston Harbor and watch as the Sons of Liberty board the Brig Beaver—and toss the tea into the water. The re-enactment is one of the highlights of the holiday season in Boston, but it’s not the only one. In a bright embrace of the season, Boston lights up—pretty much everywhere. Christmas trees, menorahs, churches, shops, restaurants and hotels sparkle through the night, and carolers and Santas spread holiday cheer. There are holiday performances in the city’s theaters and concert halls: the familiar Nutcracker; the Boston Philharmonic’s Holiday Pops; Black Nativity and more. There are religious services in the city’s houses of worship, both for Hanukkah and Christmas. In keeping with the Tea Party theme, there are masses and carols at the Old North Church, the Freedom Trail site where Paul Revere arranged for two lanterns to be hung in April 1775. Where to Stay? 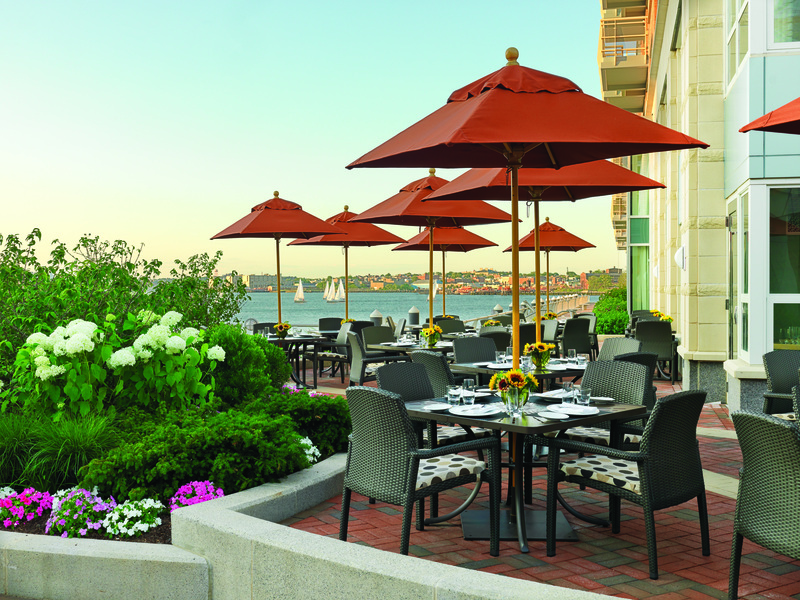 While there are any number of luxury hotels in Boston, my favorite is the unique Battery Wharf Hotel—unique because it is tucked into a private enclave (Battery Wharf), a prime waterfront spot overlooking the harbor. Valet parking makes it easy to arrive by car and the attentive staff (and holiday lights) make for a warm welcome. The accommodations are luxurious without being fussy; the suites are drop-dead gorgeous. 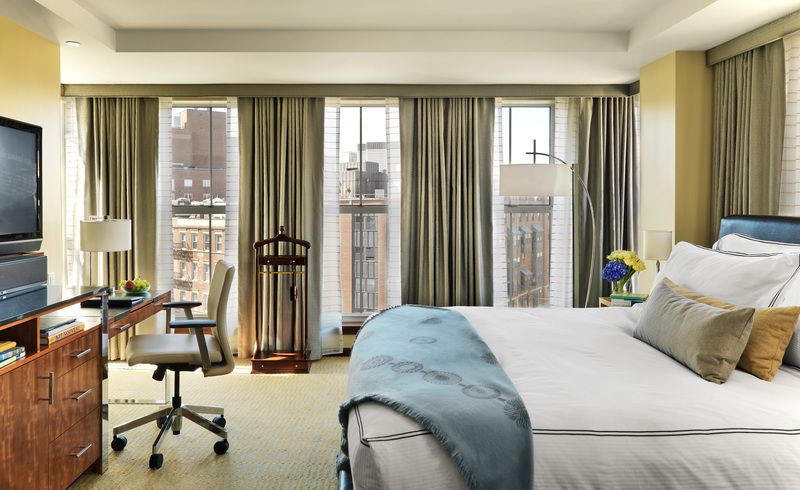 All have pillow-top beds with European linens and granite, spa-like bathrooms. Many rooms and suites have dazzling harbor views. Though the neighborhood is super-rich in restaurants and bars, the hotel’s Aragosta Bar and Bistro is no slouch, with menus showcasing classic New England fare with a Mediterranean twist. And speaking of the neighborhood, this is Boston’s famous North End, home to some of the city’s best Italian restaurants and specialty shops that feature delectable imported items to take home or to gift. Then there are the bakeries that send the aromas of good coffee and freshly-baked pastries into the street. The Fairmont Battery Wharf is the only hotel in this neighborhood, and it makes a perfect base for exploring such popular spots as the Faneuil Hall Marketplace and walking the Freedom Trail. Note: To participate in some tea-throwing yourself, visit the Boston Tea Party Museum and Ship (http://www.bostonteapartyship.com/) during its regular schedule as I did and have some fun tossing (fake) bales overboard and photographing kids having a lot of fun. The Museum experience is a rich one, with many fascinating exhibits as well as films documenting events surrounding the American Revolution. The gift shop offers excellent souvenirs, including a big selection of teas. 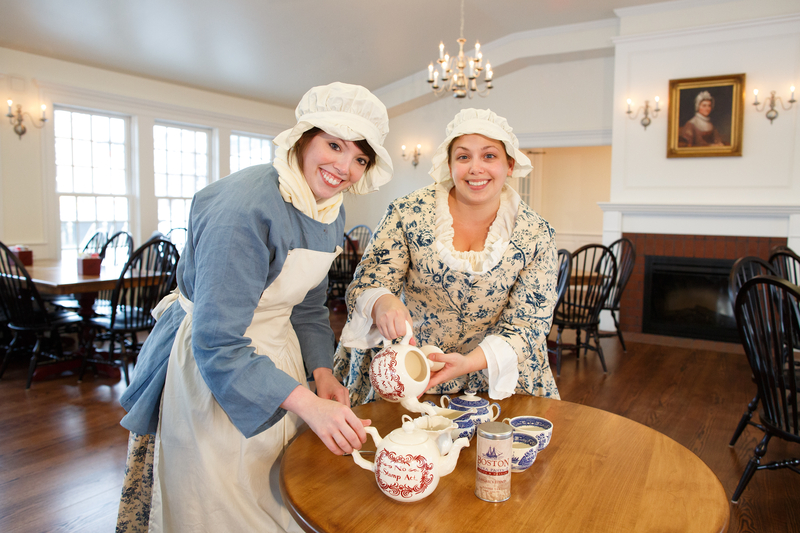 As an added bonus, the museum houses Abigail’s Tea Room, where it’s possible to enjoy—an afternoon Boston Tea Party!